Akin to Leonora Carrington's The Hearing Trumpet, a phantasmagorical portrait of being down-and-out in present-day Prague. Aviaries is a novella composed of random diary entries, vignettes, dreams, observations, interior monologues, meditations, short anecdotes, newspaper headlines, and excerpts from poetry and prose, central among which is a passage from C.G. Jung's essay on the Kore. All these elements meld together in a collapse of time to create, similar to the work of Unica Zürn and Leonora Carrington, a phantasmagoria of the life of a woman navigating a city indifferent to those living on the margins. Interactions with other residents of Prague’s Smíchov district, characters who might be figments of her imagination, and the other women in her life – infirm mother, artsy sister, absent, dumpster-diving daughter – have reached a point where fantasy and reality have seamlessly merged. The death of Václav Havel in 2011 provides the opening, and from there the prose throbs in a kaleidoscope of contemporary news reports, flights of hallucination, wordplay, and metaphoric association to testify to what it is like to be alone and lost and indigent in a world that has stopped making sense. It is a brutal vision of present-day Prague where life has become a morass of the bizarre and the grotesque. 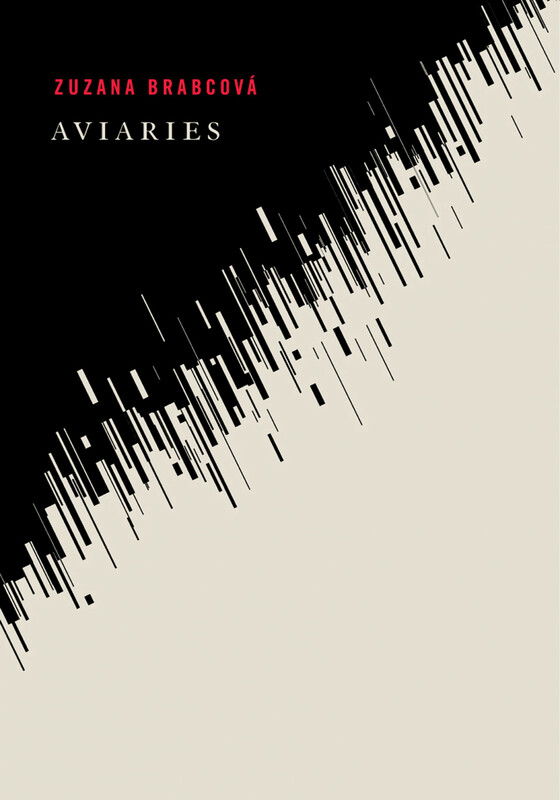 Brabcová's final book before her unexpected death, Aviaries received the Josef Škvorecký Award in 2016 for best prose of the year and was shortlisted for the Magnesia Litera Book of the Year Award in 2017.